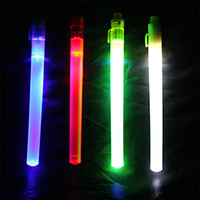 Digital Glow Sticks are battery operated LED light sticks. 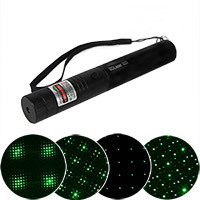 Great for clubs, raves, camping and stadium events. 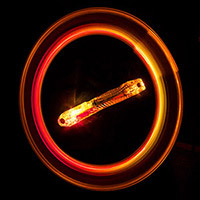 You can attach the LED Light Sticks to a lanyard or string and swing them around to create stunning effects. 3 ultra bright LED's, 11 modes, 2 brightness settings and a range of breathtaking colors schemes. You too will be a happy camper with these high quality, reusable, LED Lightsticks. This should be a core item for any clubber: a battery-operated glow stick! Looks just like a glow stick in the dark, but reusable over and over. With this multi-mode LED Light Stick you can cycle through 6 different colorful modes that allow for an endless number of uses. Great for light shows or mood lighting. Streetlights are battery operated LED light sticks. Basically a battery-powered glow stick! Super Streetlights are battery-powered light sticks. Use them for safety, camping or light shows. Available in green, white or blue! LED light sticks available in THREE color combos! The incredibly popular super streetlights are come in 3 amazing tri-color combinations! Choose Firestick, Mardi Gras, or Ice styles!